Not at an auto show, not a special event, not at a concours: E3 is where Porsche dropped the 2018 911 GT2 RS, an absurdly ferocious-looking machine touted as the most powerful 911 ever. Why E3? Because it’s the cover car for the new Forza Motorsport 7. 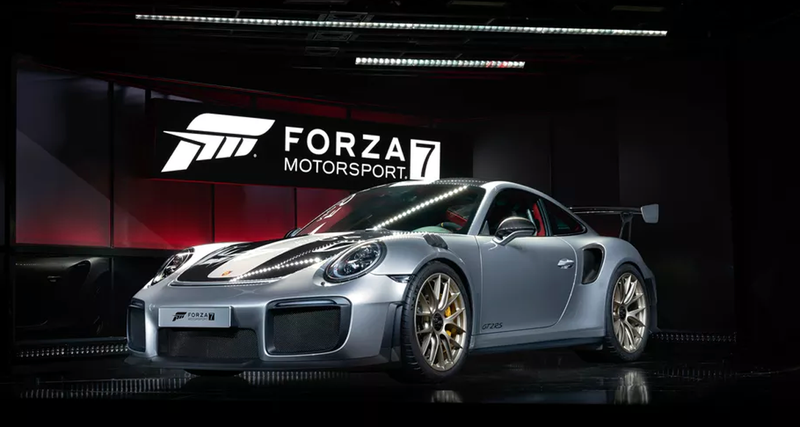 Details remain scarce besides what was announced during Microsoft’s press conference at the show, but according to The Verge, the new 911 GT2 RS has 640 horsepower, is rear-wheel drive and has a 3.8-liter twin-turbo flat-six at the rear. Expect a PDK gearbox and one of the more outlandish aero kits I’ve seen on a production car in a good while. More details and pics as we get them.